Whether you're just starting to build your freelancing career or you've been a full-time freelance writer for several years, there are many different websites devoted to helping you hone your craft. You may also be able to find your next gig on one of these websites. Many of the top freelance writers on the Internet have their own websites or blogs where they share their knowledge and expertise about the industry. Men with Pens is run primarily by James Chartrand, which is actually the pen name for a (female) copywriter from Montreal, Canada. While the main site is for her business of website design, development and copywriting, the accompanying blog contains a wide variety of informative articles and useful resources for other freelance writers. Topics include how to deal with criticism, how to overcome insecurity and how to land more clients. All Freelance Writing is a blog written by a team of freelance writers, covering various topics of interest to writers at all stages of their careers. The site also has a "free stuff" section with links to software for writers, SEO tools, online classes, and other information that may be helpful as you're working on your latest assignment. Writer's Digest is the website for the magazine of the same name, but there is plenty of exclusive online content to view as well. You can even sign up for a free e-newsletter and receive an e-book called 101 Best Websites for Writers. Freelance Folder is a multi-faceted online resource for writers and freelancers. The blog is frequently updated with new content related to productivity, marketing and inspiration. There are also forums for online discussions with other freelancers, a job board to find work, and The Unlimited Freelancer: Overcome Freelance Limits And Unleash Your True Business Potential e-book. 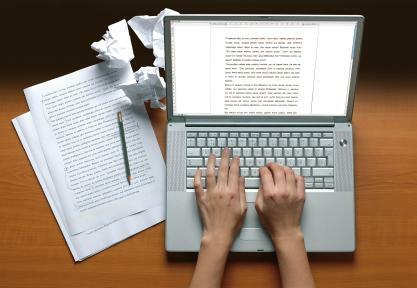 Freelance Switch is another one of the most popular freelance writing blogs on the Internet. It is staffed by several well-known names in the industry including Thursday Bram, and it features a weekly webcomic by NC Winters. In addition to the blog, you will also find a free online newsletter, a job board, a forum, a resource directory and a "Find a Freelancer" online tool. There are several websites that offer job listings for writers. While some opportunities can be found through classifieds sites like Craigslist, there are also job boards dedicated to freelancers. Freelance Writing Jobs offers a daily digest of job listings for freelancers, collecting from various sources on the Internet including job boards, classifieds sites, and more. Problogger Job Board was founded by Problogger Darren Rowse, listing mostly blogging-related freelance writing jobs. Some of these opportunities are with corporate blogs, but the content can vary considerably from technology to autism to customer service. New listings are posted frequently. FreelanceWriting.com has a sub-section on the site dedicated to freelance writing jobs. This is further subdivided into pages based on the source of the job, like SimplyHired.com or Craigslist.org, and several of these listings are offered as RSS feeds for ease of subscription. Guru.com is an online bidding site for freelance projects where you compete with other freelancers on posted opportunities. You must create proposals that encourage the employers to hire you. PoeWar.com is a blog about writing and jobs, but there is also a section on the site with an extensive listing of freelance gigs. The job postings come from a variety of sources on the Internet, so the application process and pay rate will vary considerably. Several freelance writer websites have also grown to become their own communities. Several of the blogs listed above--like Freelance Switch and Freelance Folder --also have forums where fellow freelancers can ask one another for advice, guidance or knowledge. There are also several other dedicated forums and communities online for freelance writers. TalkFreelance Forums aren't restricted solely to freelance writing, but are instead inclusive of many other forms of freelancing like programming and graphic design. Many topics are pertinent to all freelancers, though, like those related to advertising, social marketing, web hosting, and legal contracts. There is also a marketplace for buying and selling both products and services. The Freelance Forum has its main sub-forums divided into the type of work done. There is a sub-forum for writing, as well as sub-forums for photography, real estate, coding, design, web development and more. The site also contains sub-forums for freelance gadgets, social media optimization, asking for constructive criticism, and seeking work. The Freelance Writers Connection is a group on LinkedIn dedicated to providing community support and networking opportunities for freelance writers. As of December 2012, this LinkedIn group has over 18,000 members and counting. Freelance writers may choose their career path for its relative independence and freedom, but this does not mean that they need to work in isolation. With so many different kinds of freelance writer websites on the Internet, countless resources and growing online communities are only a click away.